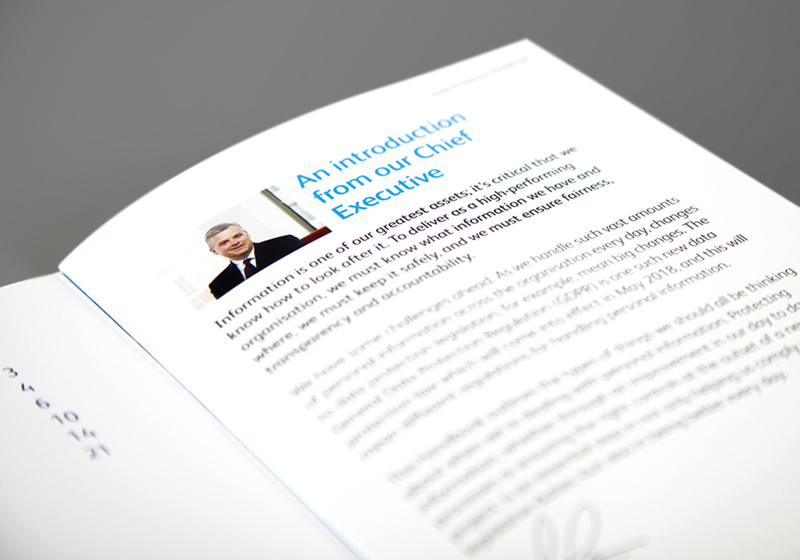 As the GDPR deadline looms ever closer (25th May 2018 for those still not aware) many organisations are waking up to the fact that GDPR is going to change how we manage our data. The point of the GDPR is to standardise the current EU data directives to provide best practice regulations on how we handle data and how we remain complaint. This is designed to strengthen the individual’s rights and create more transparency – allowing users to be informed of the personal data they share with companies currently. 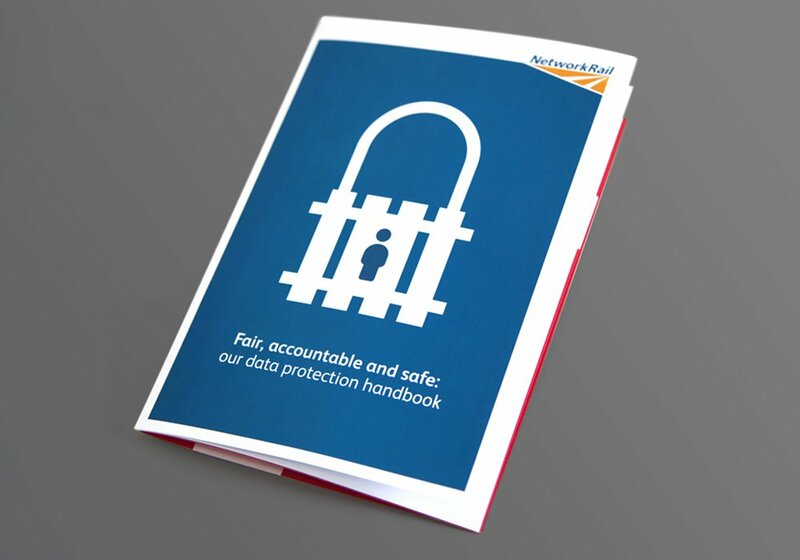 For a company the size of Network Rail, the implications of GDPR are massive and so they needed to make every single employee aware of their responsibility to protect themselves, their employer, and most importantly their customers. In trying to communicate this message to such a vast organisation however, there will always be a struggle to make people fully grasp the importance of the issue at hand. 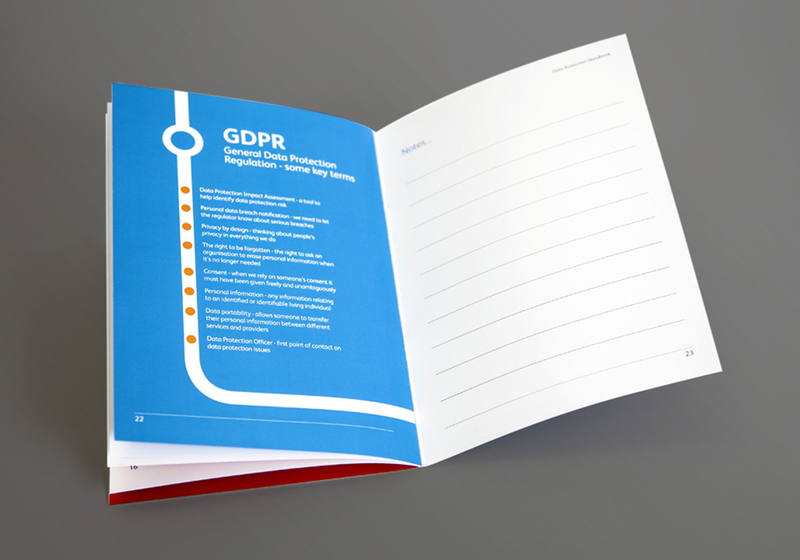 The team at Guerilla was able to put together a Data Protection Handbook – a concise booklet that can be read and understood by anyone across all levels of the business and a reference point for all matters of data protection. 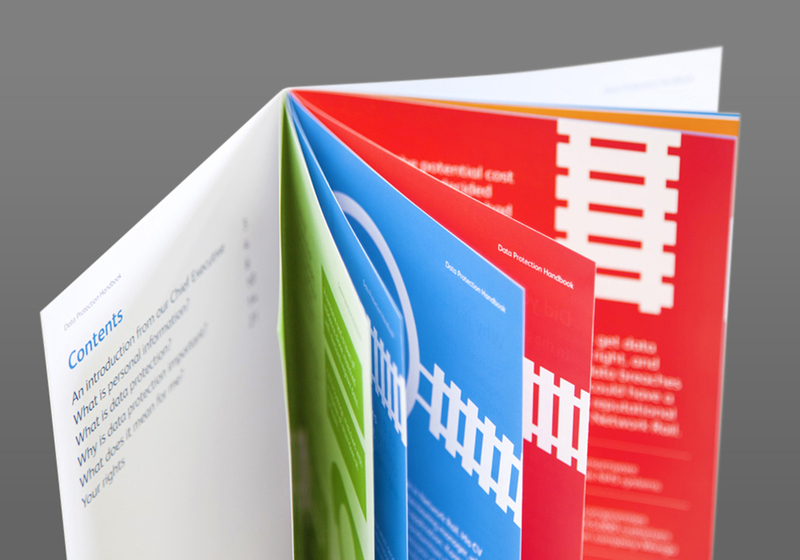 Rather than your typical text-laden, dreary document we wanted to present a vibrant and energetic booklet – one which lacked the normal jargon and hostile tone but still presented the core message with clarity. Every company is facing the same problem when it comes to GDPR – what we want to do is help make this complex message and convoluted data easier for everyone through design.